Clinical pharmacology as a specialty is well placed to ensure that decision making is cost-effective and rationalized. NEET DM CLINICAL PHARMACOLOGY is an exciting and tremendously varied specialty; the core role of a clinical pharmacologist is to improve the care of patients through the safe and effective use of medicines. This wide remit combines clinical practice with development and implementation of new therapies and training. Twenty-one years ago, a WHO study group formulated the principles of clinical pharmacology. Since then, it has become an established medical discipline in a number of countries. Clinical pharmacology is a medical discipline which, on a scientific basis, combines pharmacological and clinical expertise with the ultimate goal of improving efficacy and safety in the clinical use of drugs. The central role of drug therapy in many fields of medicine is the background for establishing clinical pharmacology as a separate discipline. The significance of CLINICAL PHARMACOLOGY in the modern drug therapy its availability for the treatment of infections, cardiovascular diseases, neuropsychiatry disorders and certain malignant diseases. 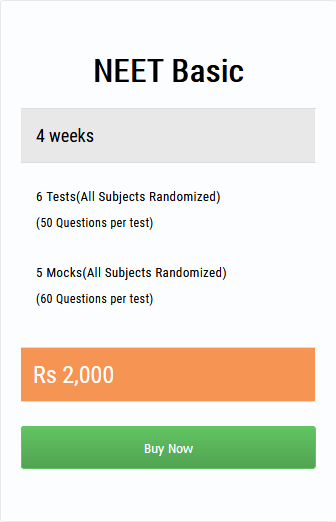 MediExamPrep an online portal now offers various test series for superspeciality aspirants. This is also a part of the MediExamPrep vision to be a one-stop center for all your needs as a medical student. Weekly tests and Grand tests are available which are helpful in letting candidates know where they stand and how exactly to change their pattern of study for a better result next time. MediExamPrep is a Team of Highly Dedicated Medical Professionals who is having a passion for Medical Sciences. They will be conducting discussion sessions in their respective fields. These sessions will help you to prepare more precise notes so that you know what exactly you need to focus on. In order to get success in the medical entrance exam NEET SS, students need to analyze their strengths and weaknesses and plan a systematic method to make the most out of them. You need to build a strong roadmap to gradually eliminate or minimize the impact of such limitations.